October is Fall Car Care Month, reminding us to make regular maintenance and preventative maintenance a priority before winter settles in. To keep your vehicle operating at its best and avoid issues in the cold months ahead, add these basic car care items to your to-do list this month. Check the battery. Check the connections to ensure they are clean, tight, and corrosion-free. Also have the battery tested, and replace it if needed. Check the fluids. Make sure to top off any fluids that are getting low (like windshield wiper fluid and antifreeze/coolant) and replace fluids that are dirty (like engine oil and brake fluid). Have the brake and exhaust systems checked. Have the brake rotors, pads, innings, and drums inspected at each oil change. Also, before winter, have the exhaust system inspected for leaks and damage, which can prove dangerous. Check the tires. Good tires are critical to safety in poor driving conditions. Snow, sleet, and rain can pose particularly hazardous driving conditions for worn, flat or over-inflated tires. We recommend opting for snow tires during the winter months, but at a minimum, make sure you have good all-season tires. Check the wipers and lighting. Now that it’s getting darker earlier and the sun is coming up later, it’s time to make sure that you replace any burned-out light bulbs, both on the inside and outside of the car. Also be sure your wipers are in good condition, and replace the blades if needed. For more information on Fall Car Care month, visit carcare.org. Here at James Ceranti Nissan, we want to help you get your car ready for the changing seasons. 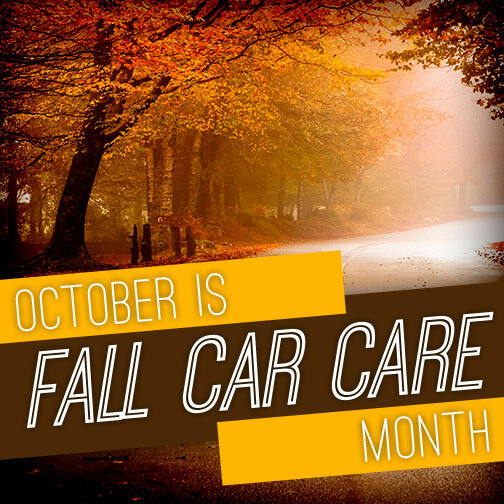 Make an appointment today in honor of Fall Car Care Month!